The ultimate in elegance and performance. 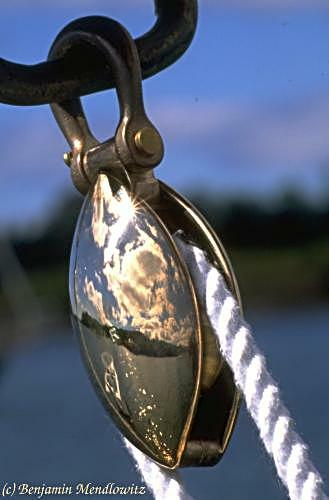 Our blocks and hardware combine the beauty and durability of bronze designs from the guilded age of yachting with the proven performance of modern plastic ball bearings. Manufactured under license from original Herreshoff designs in the Hart Nautical Collections to the highest standards of workmanship and materials to last a lifetime and beyond.